The right to have control over one's life; the right to choose the institution of learning and what to learn; the right to love and to be loved, to engage in relationships of choice, to live with a partner, to get married and to have children; the right to administer a personal budget. The right to do 'normal' things in mainstream settings: learn to play the guitar, be with other people, have more opportunities to make new friends, get a drivers' license, travel, go to a Manchester United match, go to watch an ice-hockey game, go to restaurants and supermarkets; the rights of persons with disabilities should be addressed under generally formulated, legal regulations instead of in laws that are specific for people with disabilities only; the right to work for at least minimum wage, to choose a workplace or a day program; the right to be informed in understandable ways about any aspect or concern of a person's life; the right to be included in a music band. In the experience of the Caravan members, insistence and engagement inspire and increase the probability of earning respect. Only trying to be nice doesn't. 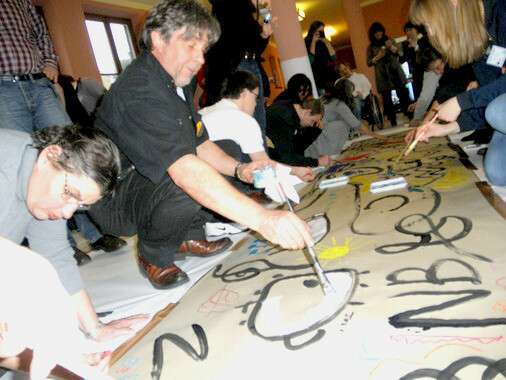 Acts of disrespect must be addressed so they can be corrected; Respect for the pace of doing things, such as finding a good way to communicate, is required; An overt expression of respect is politeness; 'Disabled' does not mean incapable – a commitment to life-long learning is necessary; The right to be known as a good person (as opposed to being stigmatized); We were impressed with the notion of the Swedish concept of 'kamratstodjare'; Forming communities that are free of violence and discrimination. More pictures and symbols are needed as a complement to written texts. Human beings have five senses that may be used to get messages across; the right to go on holiday regularly; more use of easy language everywhere and always; more use of Braille, e.g. transportation schedules must be published in Braille; each municipality must appoint an officer to facilitate access to its services for people with disabilities; awareness is required to the fact that changes in the traffic endanger people with blindness, intellectual disabilities and others; there is a need to provide more individually tailored supports; more attention must be paid to create barrier free environments; the right to chose one's home must be respected; opportunities must be available for the acquisition of skills in areas like: anger management, problem solving, communication, interpersonal relations. In addition to the above, the participants expressed that what people with special needs really want is: Getting support from family, friends and professionals; Knowing where and who to get support from and having a plan for the future; Free education; Going shopping and going to cafes; Having a regular, monthly income; Regular, paid work; Study and training of choice; Living with friends in an apartment; Playing the piano and singing; A good combination of living arrangement, work and leisure time; Self-determination; Being trusted. A sense that life is run by others; Lack of information that limits the ability to chose and decide; Lack of resources and aids; Having a limited number of options for decision-making. 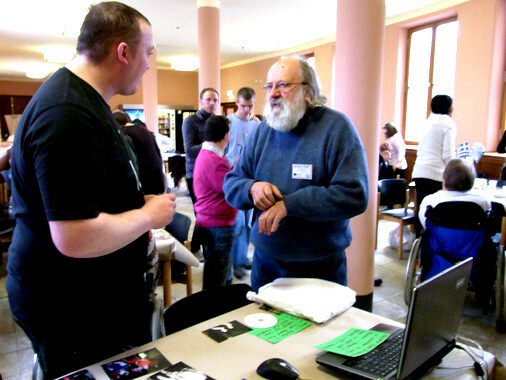 Fulfillment can be achieved – easily accessible opportunities therefore must be offered, such as: overcoming language and communication barriers, cultural differences, providing opportunities for concept clarification, encouraging short interventions in easy language, pacing all messages properly and progressively and helping people to express themselves in writing or drawing. 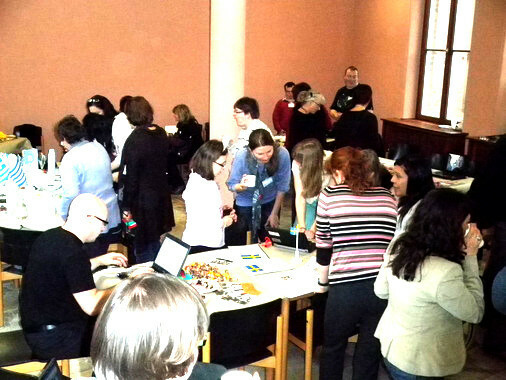 Facilitative methods such as 'Open Space' & 'World Café' which we used in this conference as opposed to traditional forms of speeches and work-groups should become the norm. The UN Convention is made for you and me, so don't hesitate to speak up for your rights! 2nd-6th February 2011: Wake up Europe!!! Drumming for Diversity and Understanding! Wake up Europe!!! Drumming for Diversity and Understanding! An integrative drum group of at least 8 musicians with and without disabilities, of various ethnicity from different countries will travel across Europe and perform in the famous sites and public places. An initiative of the Caravan, Poland. 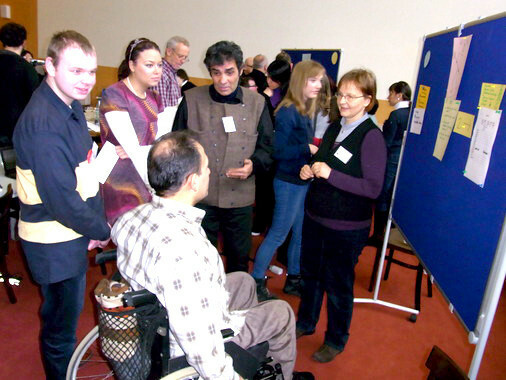 Young people with disabilities from Poland and Germany research together the history of human rights of people with disabilities in their countries. They will be visiting memorial places and arrange interviews with witnesses of the ongoing processes. 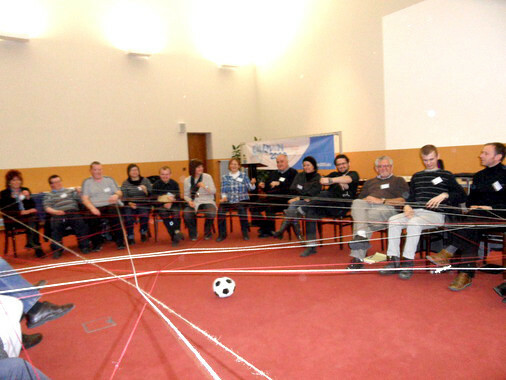 A common project of IB Neuenhagen and PSOUU, Gdansk, supported by the foundation „Memorial, Responsibility and Future“ with the programme „Europeans for Peace“. 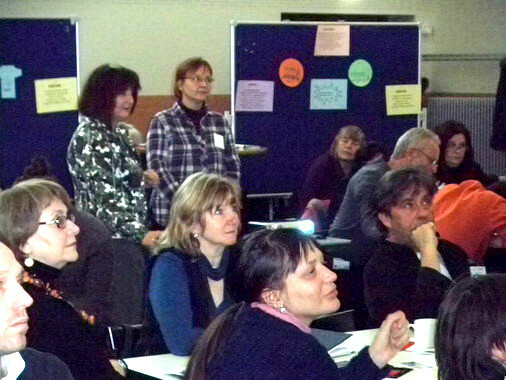 On the 5-8.May.2011, in the Meyer-Wittwer-Bau in Bernau bei Berlin in Germany the international workshop of the members of Caravan 2000 International Federation took place. 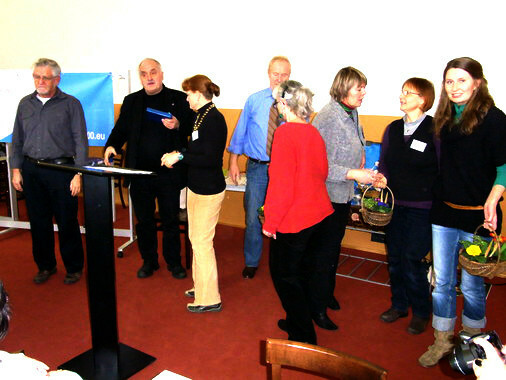 The annual General Assembly meeting was the part of this gathering. This meeting was held on the 6th of May. 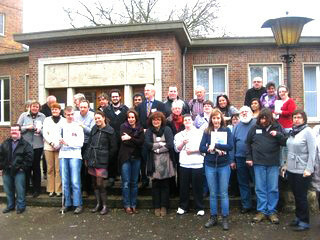 The representatives from all the member countries were present. The president Magdalena Skiba presented the annual report of the 2010 activities and the v ice president Michael Thiele presented the financial report. The financial report was audited by Mrs Nigar Egvin, auditor appointed by GA, who presented the results of the audit. Both reports were accepted by the members. 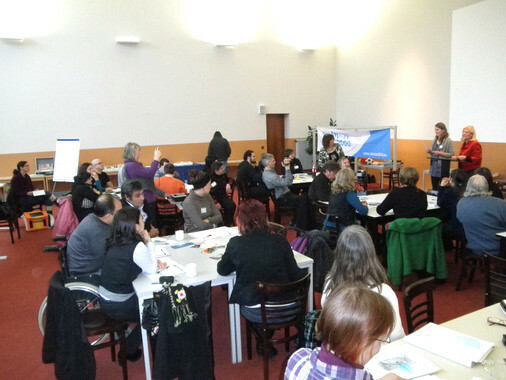 During the workshop the members were working on: • future planning and generating topics for the future seminars of the Caravan • Platform – a mission statement document – revision and approval • quality standards of the Caravan project, • continuation of the net project.